Last year, I was inspired by the Horror Etc. podcast to come up with my own Horror Hall of Fame. Barry over at Monsterminions had done one and soon Derek M. Koch created his own. Well, now a little more than a year later, Derek has followed up with his second annual Horror Hall of Fame. Rather than seem repetitive, I’ve chosen to defer to the podcast master. Go to his blog, Plan D, and check it out. Now, for the most part, I agree with what Derek has chosen so far. I would have to respectively disagree on two counts. 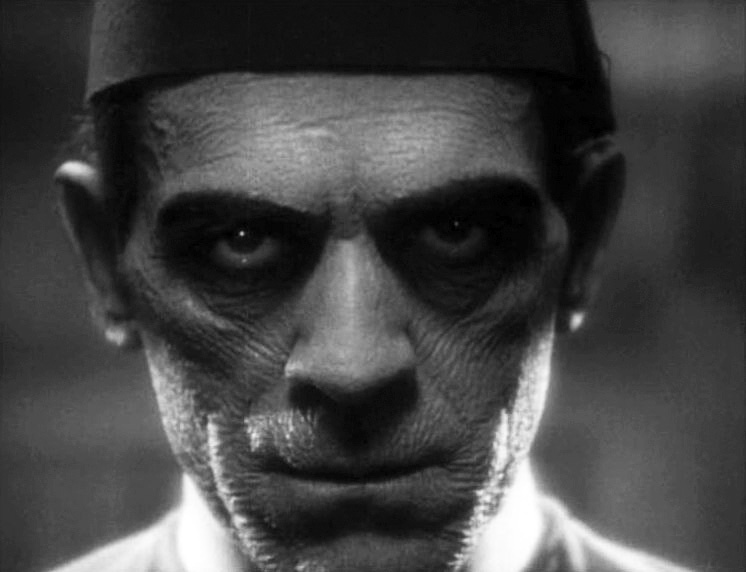 In my opinion, Boris Karloff needs to be in before Lionel Atwill or Tom Atkins. I might also have chosen Friday the 13th over The Evil Dead, but again, it’s a personal preference. And where is The Exorcist? Of course, I say (or is it write) that with a smile on my face. Any list is subjective to the whims and passions of the writer, so I don’t think any list can truly be wrong. Derek has done an amazing job. Go read his post, start following his blog today and tell him Richard from Wichita sent you! As I’ve said before, I’m woefully behind on my 90s horror flicks. Marriage and kids will do that to you. So, now that I have more free time as the kids are all grown up, I continue to play catchup and discover some of these fun sci-fi and horror films I missed back in the day. Ever since Terry Frost cover Mimic (1997) on episode 27 of his Martian Drive-In Podcast (which I highly recommend), I decided it was time to finally watch my Blu-ray that I did a blind buy on a few years back. Author Donald A. Wollheim write the short story Mimic in 1950, although it varies from director Guillermo del Toro’s final work. Wollheim chose to center his story on the memories of a young man who witnessed a mysterious individual in a black coat in his neighborhood. Not quite human, more insect like. Del Toro would pick up on those visuals, adapting the story for what was originally to be an anthology of four separate stories. 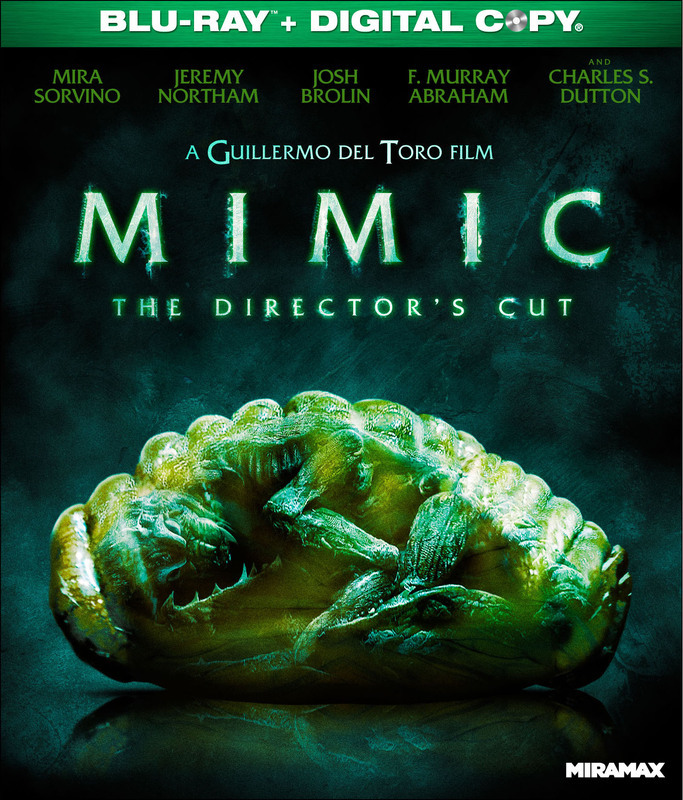 However, as that idea morphed into Mimic being its own movie, Del Toro expanded the story and the creature’s origins. The story begins with Manhattan being ravaged by a deadly virus called Stickler’s Disease. Cockroaches are spreading it and nothing seems able to stop it. Enter entomologist Susan Tyler (Mira Sorvino) who brings a genetically engineered insect called the Judas Breed to wipe out the cockroaches, saving the children of Manhattan. As the Judas Breed was all female and designed to live just one generation, there were no worries about them surviving and breeding. Apparently, nobody ever watches horror movies in Manhattan. Now, three years later, Susan is married to Dr. Peter Mann (Jeremy Northam). When buying insects from two boys, she discovers the Judas Breed is alive and mutating. We soon discover that stories have been circulating amongst the homeless of “Long John” and “Overcoat Slim”, which we have learn is actually the Judas Breed, now able to walk amongst us as they have camouflaged themselves to blend in. When Peter and his assistant Josh (Josh Brolin, The Goonies and No Country For Old Men) decide it’s time to venture into the bowels of Manhattan to find these creatures, they are joined by subway cop Leonard (Charles S. Dutton, Alien 3). There is also the sub-plot of a shoeshine man named Manny (Giancarlo Giannini, Casino Royale and Quantum of Solace) searching for his missing autistic son Chuy, who has followed his new “friends” into the subways. Meanwhile, Susan is on her way there as well, realizing the danger her husband is in. Before long, they all unite and the standoff between man and insect converges in a forgotten railway car far beneath the earth. Mimic has a lot going for it but I do think it would have been even better in anthology form. I should mention that the version I watched was Del Toro’s director’s cut, released in 2011. He was never satisfied with the original cut of the film as he didn’t have the final say. But he was quoted as saying he was happy with the 2011 version, which runs some 6 minutes longer. However, there doesn’t appear to be any major additions, only some minor plot enhancements (according to various online sources). The picture and sound is where the major changes appear. Apparently Del Toro’s magic touch paid off as I was quite impressed with the overall look of the film and the atmosphere it generates. I wouldn’t classify it as Del Toro’s best film but it is highly worth checking out. All of the cast add to the visual treats. Sure, the overall plot could have used some development but, then again, what should one really except from what is essentially a giant bug movie. It’s fun to see a young Josh Brolin as well as an almost unrecognizable Norman Reedus (Daryl from The Walking Dead). We also get an appearance from F. Murray Abraham (Amadeus) as Dr. Gates, an associate of Susan’s, and know that legendary Doug Jones (Hellboy and Pans’ Labyrinth) is one of the creatures under the makeup. Check out the trailer and then be sure to invest in the director’s cut Blu-ray, currently going for less than $10! It did spawn two sequels, Mimic 2 (2001) and Mimic: Sentinel (2003), both of which are direct-to-video sequels with mostly negative reviews. 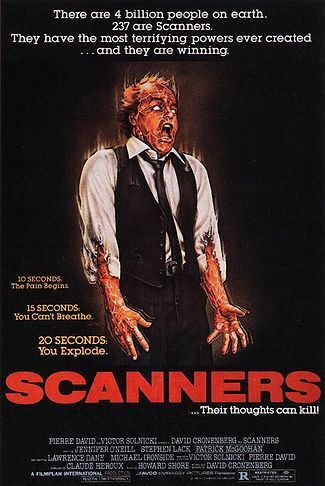 I have vivid memories of seeing the Scanners movie advertisements in the newspaper back in 1981. I read the article in Starlog magazine and vaguely remember it popping up on television from time to time over the years. Several years ago, I even bought a DVD for $1 at a closing Hollywood Video store. However, until this past weekend, I never took the time to watch it. Movies from the 70s and 80s have a way of standing out quite a bit, especially when it comes to fashions and technology. It can throw me off a little or make me feel nostalgic, so these aren’t always go to movies for me unless I am in the right mood. 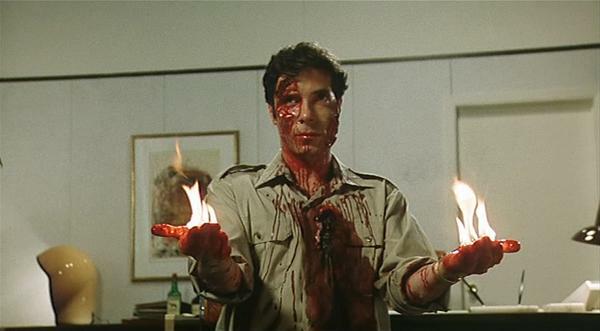 But, more times than not, when I finally sit down and discover a film that I’ve avoided or missed for decades, I am usually pleasantly surprised and Scanners (1981) was no exception. Scanners are actually mutated humans who have the ability to hear other people’s thoughts and to control them telepathically. Of course, having the ability to control a heartbeat or blood flow can have disastrous results if this power falls into the wrong hands and that’s exactly what we see in the opening moments. Our main character, Cameron Vale (Stephen Lack), causes a woman to have violent convulsions after “hearing” her derogatory comments about his appearance. He is quickly subdued by agents from ConSec, a research facility that has a history with scanners. Cameron Vale soon becomes the tool of Dr. Paul Ruth (Patrick McGoohan, The Prisoner) as a war is ready to erupt between mankind and the scanners. It seems that Darryl Revok (Michael Ironside, V and Total Recall) has tremendous scanning powers and wants to hunt down all those with the scanning power. He has a much grander scheme to create his own scanners as his personal army. The inevitable battle of wits between Vale and Revok ensues with Kim Obrist (Jennifer O’Neill) reluctantly joining Vale more out of self-preservation than dedication after Revok orders the death of many of her scanner friends. Throw in some mystery and plot twists and you have a rather entertaining sci-fi flick for late night viewing. Now, I should come clean and say that Scanners is not perfect. In fact, there is one key flaw that held my enjoyment back a little. There is some very questionable acting from the lead actor Stephen Lack (as in “lack of talent”, pun intended). He simply cannot act his way out of a paper sack, causing several powerful scenes to fall flat. Unfortunately, somewhat flat performances from McGoohan and O’Neill exasperate the situation. McGoohan at least throws some passion into some of his scenes but he clearly didn’t have as much interest in this project as is evident in some of his other works, such as the classic television series The Prisoner. However, I liked the blending of the mystery and sci-fi elements, along with the smile I had on my face during the computer scenes. Amazing how far we’ve come but it does antiquate these types of movies a bit. Director David Cronenberg has given us many classic films over the years. 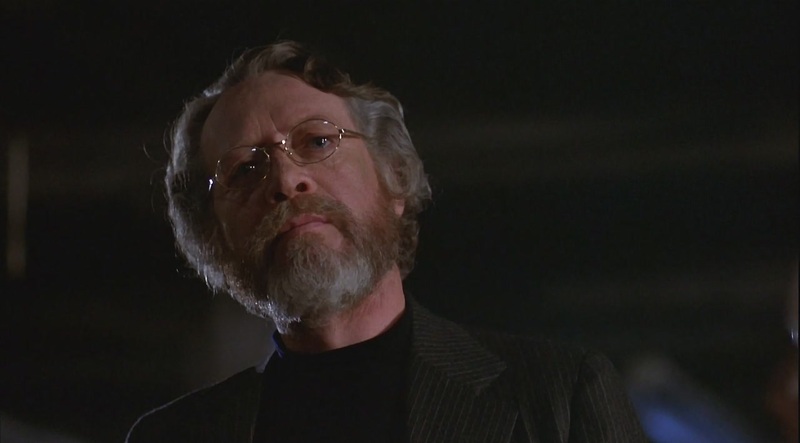 Prior to 1981, The Brood and Rabid stand out, while he immediately followed Scanners with the cult classic Videodrome and more commercially successful films like The Dead Zone and The Fly. His movies from this period dealt with the different aspects of scientific research, either going out-of-control against society or on a more personal level. All of these films are well worth checking out. Be prepared for some incredibly violent scenes and a fair amount of blood (you all probably know about the iconic head explosion scene). Definitely pushing the envelope that Hollywood is often scared to do today in favor of a PG-13 rating and bigger box office numbers. 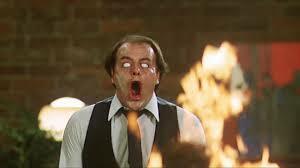 Scanners was a box office success so no surprise that a series of sequels and spin-offs followed. However, none had the involvement of David Cronenberg or any of the original cast and are generally better left forgotten. For years there have been rumors of a remake or television series but nothing seems to be happening in either of those circles as of 2014. The movie is currently available on YouTube as well as DVD but seems to be out-of-print, so do some shopping as you don’t want to pay more for the movie than it is worth. It could benefit from a remastering and some extras beyond a trailer, which is all that the DVD has. That said, I recommend it as it a lot of fun, provided you can overlook some of its flaws. Plus, may I also recommend listening to episode 25 of the Martian Drive-In Podcast. Terry Frost offers up some great discussion that will enhance the viewing experience. It’s a common story amongst fans of the cinema, especially sci-fi and horror aficionados. You wait years to see a movie. You’ve heard very little but your curiosity is killing you. Finally, you track down a copy. You fire up the big screen, put in the DVD or pull up Netflix. Minutes later, you are being transported to another time and place. You can’t believe you are finally going to see the movie. Then, some 90 minutes later, you wonder if Marty McFly can swing by with the DeLorean so you can get those 90 minutes back. 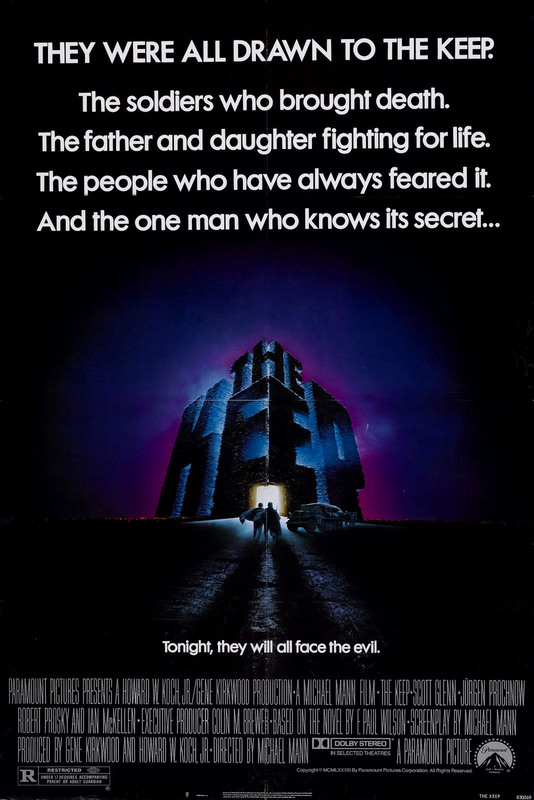 Unfortunately, these are thoughts crossing my mind after I recently watched The Keep (1983) but not for the reasons you might think. 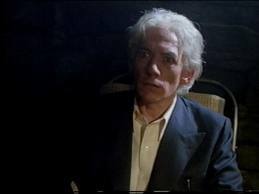 In 1983, director Michael Mann assembled a cast that included Scott Glenn and Ian McKellen in an effort to bring author F. Paul Wilson’s novel The Keep to life on the big screen. Up to this point, Mann had only one theatrical film to his credit, 1981’s Thief. And, after viewing The Keep, I’m not surprised to see that his Hollywood career made a transition to producing such television hits as Crime Story and Miami Vice. The movie has a lot of interesting aspects going into it. Set in World War II Romania, the German Army takes residence in an abandoned citadel, known as the Keep, in an effort to control a pass. The locals are concerned about the Germans staying there and are warned to leave. However, Captain Klaus Woermann (Jurgen Prochnow) becomes intrigued with countless T-shaped icons made of nickel. A local priest warns them not to touch them but a couple of soldiers attempt to steal them, inadvertently unleashing an entity known as Radu Molasar. Beams of light leave a path of destruction, which warrants the priest to request a Jewish historian named Professor Theodore Cuza (Ian McKellen, The Hobbit and X-Men) and his daughter Eva (Alberta Wilson). Molasar begins to take form (it reminded me of a Golem with red eyes) and saves Eva from two German soldiers. Then, he cures Professor Cuza of scleroderma, resulting in the professor gaining strength and being indebted to him. Molasar needs the professor’s help in escaping the citadel, promising to kill the Nazis if freed. Meanwhile, a mysterious stranger with glowing eyes (Scott Glenn) comes to the village with his own plans of stopping Molasar. As it turns out, Molasar has evil plans and the stranger is the only one who can stop him. The Keep is an atmospheric film that is in desperate need of restoration and remastering. The version I watched on Netflix is only in full frame and was a very worn copy. The film originally had a soundtrack by Tangerine Dream but other versions contain a different score due to rights issues. However, this version had the Tangerine Dream music, which really is not a plus. I love Tangerine Dream but their score just seemed out of place in this movie and overpowering at times. Which leads me to the sound editing. It is perhaps the worst I’ve experienced in some time. It is very hard to hear most of the cast. This could have been how it was filmed or it could just be the current mix. In any case, it needs corrected should this ever get a DVD or Blu-Ray release. The Keep had a lot of potential. I love the concept of World War II horror. However, it also suffers from a convoluted script. This could be due to the fact that the movie was originally over three hours long and was cut down to half that running time. I suspect a lot of detail and explanation was lost in that abandoned 90 minutes. Michael Mann has no interest in seeing this film restored due to the overall negative reception it received. I’ve never read author F. Paul Wilson’s original novel but I am definitely interested. Wilson was also disappointed with the movie, stating it was incomprehensible. With a theatrical release just before Christmas, an odd time of year for a film like this, needless to say it was a flop. The Keep has only been released on laserdisc and VHS, so unless you can find one of those on eBay, your best option would be Netflix or on YouTube, which is at least a widescreen version converted from the laserdisc. It’s worth a watch to see the promise that it had but be warned. It’s a frustrating watch that may leave you wishing for that 90 minutes back, at least until a better version becomes available.